The interesting thing to listen for in Americana Christmas albums is where artists position themselves on the spectrum between sincere and snarky. When country stars make holiday albums (and they all make at least one), they’re generally earnest and full of old familiar tunes. Americana artists are far more likely to embrace the season’s ambiguities and sometimes absurdities. And it’s impressive to see how many take on the challenge of writing an album’s worth of original material. That’s what’s going on with this year’s stack of yuletide discs. It opens with an apparently angelic choir, but no way was social critic and song poet Rodney Crowell going to play Christmas straight for long. Soon the artist is laugh-crying about the maelstrom of materialism that American yuletide has become, set to a gypsy jazz swing led by guitar master John Jorgenson. Indeed the musicianship here is a gift in itself, with instrumentation by Rory Hoffman and guest vocals from Lera Lynn and Brennen Leigh. 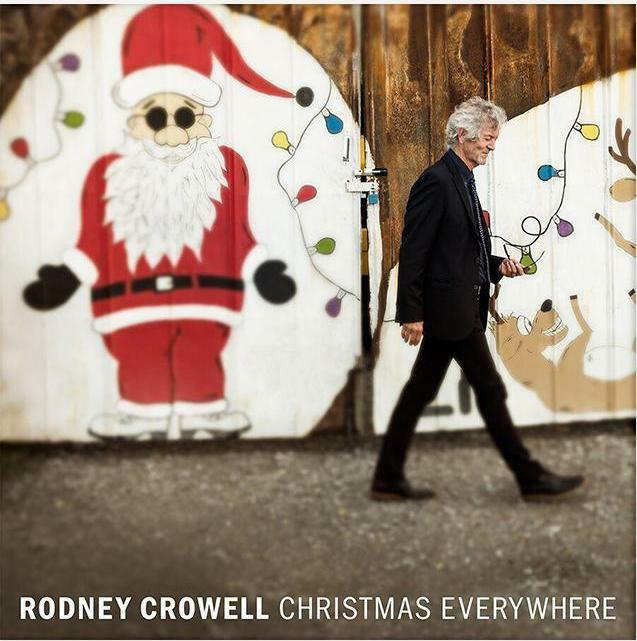 So it’s a real deal Rodney Crowell album with its absorbing production and all original songs. The best, like “Come Christmas,” explore the bluer side of the season, when we miss lovers or the departed in a time of love. “Christmas In Vidor” written and sung with writer Mary Karr is raw and pictorial. This is Christmas for the thinking music fan. 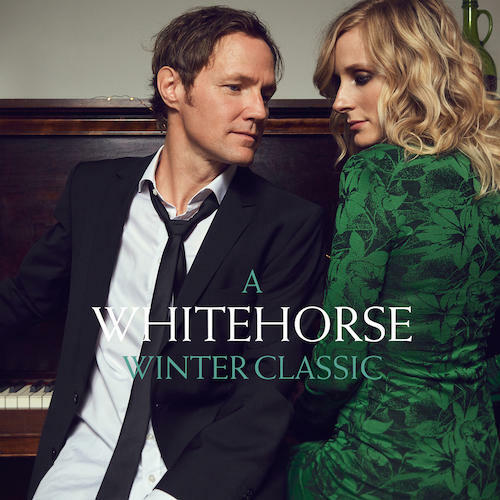 The sonically adventuresome and immaculately matched Canadian couple of Luke Doucet and Melissa McClelland come off as almost too cool for a Christmas disc, but now they’re parents (of four-year-old Jimi) so the season’s lights and darks stand in starker relief for them. They’ve made a bright, blue and badass collection here. It’s got the chime and twang of Luke’s Gretsch guitars and tour de force vocals on seven well written new songs, a Pretenders cover and a magnificent take on “Blue Christmas.” McClelland’s vocal on the luxurious, string frosted “Two Snowbirds” is a standout among many. "If we find Christmas music generally awful, it is incumbent on us to make it better," Doucet told PopMatters. That’s the spirit. A good Christmas album makes you think, and a better one also makes you dance. 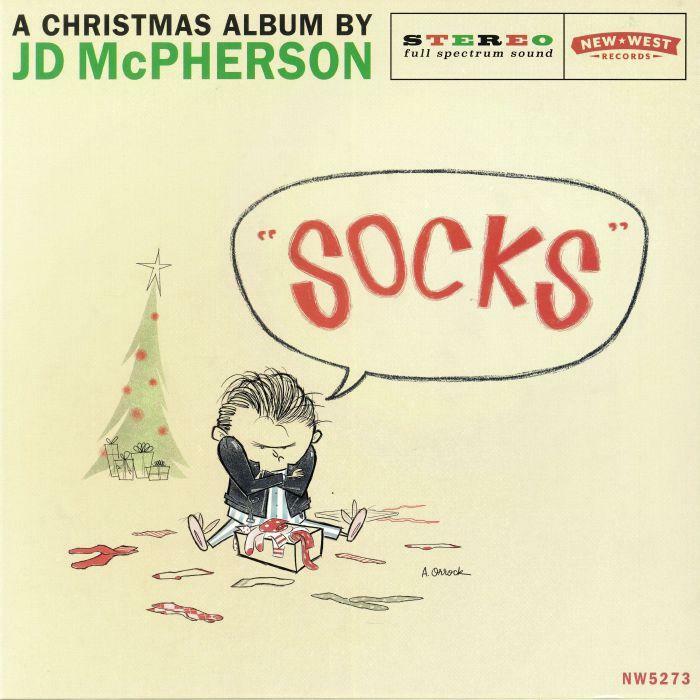 From the opening bars of Socks, retro-slick J.D. McPherson and his cracking band exude soul and conjure a soundtrack for a super hip holiday party. That opener “All The Gifts I Need” is one of the more sincere tracks, while the title track confronts that crestfallen feeling of absurdly disappointing gifts. We’ve all been there. Indeed the whole project toggles between wit and warmth, with shades of Louis Prima in the music. Lucie Silvas, a la Keely Smith, appears for a cheeky he/she duet on “Claus vs. Claus.” Cartoon illustrations and design by Anika Orrock round out a charming package. The candy speckled vinyl edition with its full sized lyrics book would make a genuinely great gift. Nashville’s pioneers of Cuban country crossover have delivered one of the season’s more conventionally sentimental Christmas albums, with all the smiles, twinkles and jingles you could ask for. But of course it swings and rocks, because that’s their nature. Raul Malo’s gift-wrapped tenor voice is well suited to the classic vibe across eight originals and two classics including the under-appreciated “Happy Holiday” by Irving Berlin. 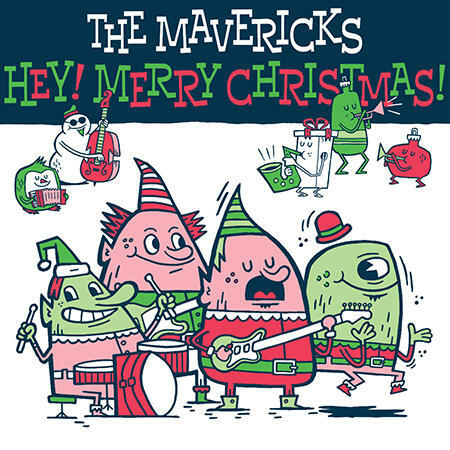 Jazz guitar strains and vibraphone back up the dreamy “Christmas To Me (Is You),” while the title track is a pure Mavericks horn-stabbing, hard driving party song. Feliz Navidad amigos. Voted most likely to disrupt Christmas clichés, Austin’s Kevin Russell and band deliver with an album that should help you giggle and wiggle your way out of any seasonal stress you might encounter. It opens with a new arrangement of the instrumental “Linus and Lucy” which segues into “Santa’s Got A Brand New Bag,” one of a couple Christmas makeovers of famous funky songs. Don’t miss the naughty and nice Clarence Carter cover “Back Door Santa” for example. “Santa Comes To Atlanta” is a gorgeous country song surging with pedal steel. “Christmastime In Bossier City” is a melancholy story song that shows how supple Russel is as a singer/songwriter at any time of year. 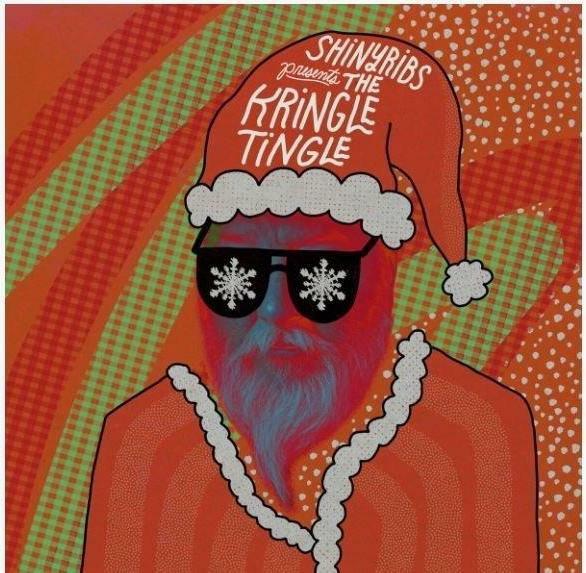 The songwriting of Shinyribs continues here because Kevin Russell co-wrote the title track with front man Rhett Miller. 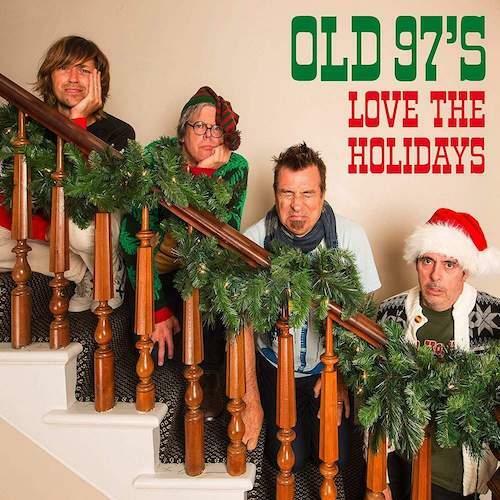 The song’s sparky polka rock and roll sets a tone where classic Old 97's country rock becomes a vehicle for child-like wonder and openness to holiday charms. Maybe because Miller was simultaneously making an introspective and “more complicated” solo album, this first-ever band Christmas project could afford to be more cheery. Why doesn’t matter. This one is uplifting but not simplistic; songs like “Here It Is Christmastime” offer a mature, poignant look at the soul of the season. The final four bonus tracks are a clinic in how to perform classics with electric guitars and drums.